PriMed - PriMed. International Festival of Mediterranean documentary and Courrent Affairs Films Marseille. This year we recieved a very important number of films. We thank you for your trust. The selection board is at work and the list of selected films will be announced by mid-June. Know all about the films registered in the different editions of PriMed? -November / December 2019, finals of PriMed : the International Jury watches the films and decides the winners; meetings of Mediterranean Young People Jury; public screenings and meetings; awards ceremony. “This prize is given to the best film (documentary or reportage) on a current Mediterranean subject, lasting more than 30 minutes. It picks out productions which improve our understanding of the present situation in the Mediterranean and rewards a director’s skill at questioning events and putting them into perspective, as well as his capacity to listen to the principal characters. This prize rewards the documentary lasting more than 30 minutes, which – with or without archives – most successfully places in a present-day context historical events concerning the Mediterranean, stories of men and women, whether individual or collective, or places of symbolism and memory.”First Documentary Film” AwardThis award recognizes the talent of a film director who made no more than three films. Works produced as part of a school or training can also compete. Running time must exceed 30 minutes. This award is for a documentary or a reportage – lasting less than 30 minutes – whose subject is about Mediterranean area. Selection Committee and International Jury. The Selection Committee and the International Jury are made up of cinema and TV professionals (directors, producers, distributors), as well as specialists of the Mediterranean area.Their decisions are final. The Selection Committee is entitled to change a film from one category to another one. In any given year, a member of the Selection Committee cannot also sit on the International Jury.The decisions of the International Jury must be reached by a majority of members. If by the third vote a majority has not been reached, the president has the casting vote. The Jury cannot attribute ex aequo awards. 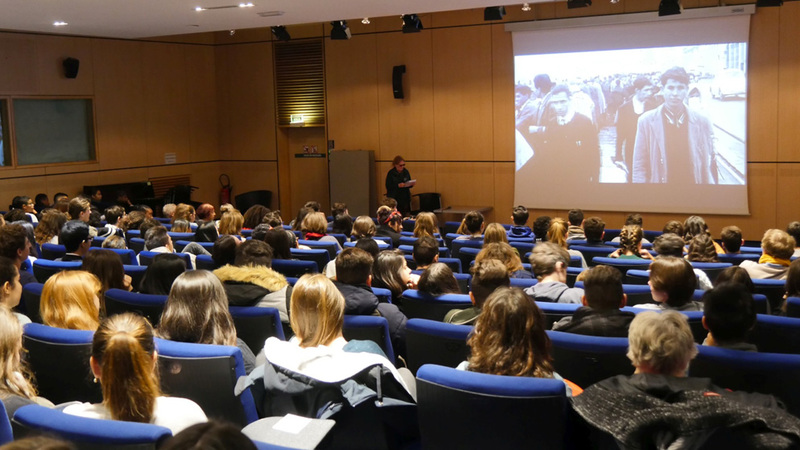 Le CMCA organizes PriMed in collaboration with France Télévisions, Rai andASBU.